Saving for retirement is an abstract exercise until you put real numbers into a real plan. Let’s construct a strategy for a $100,000 retirement income starting at age 65 and running until age 90. Keep in mind that money loses purchasing power over time. In other words, your $100,000 when you retire won’t buy as much as it does today. In addition, you may live longer or retire sooner, but for the purposes of simply starting somewhere in the planning process we’ll begin with that. A comprehensive retirement scenario should consider inflation, market variances, withdrawal rates and the like—details best left to financial planners using advanced calculations. Some advisors use what is called a “Monte Carlo” simulation. Others love a good spreadsheet. We’re working with what is little more than a cocktail napkin, but the numbers will give you an idea of the work that needs to be done. We’ll assume you’ve already taken care of the three major roadblocks that keep some millennials from starting the race to retirement: credit card and student loan debt and a three- to six-month emergency fund. 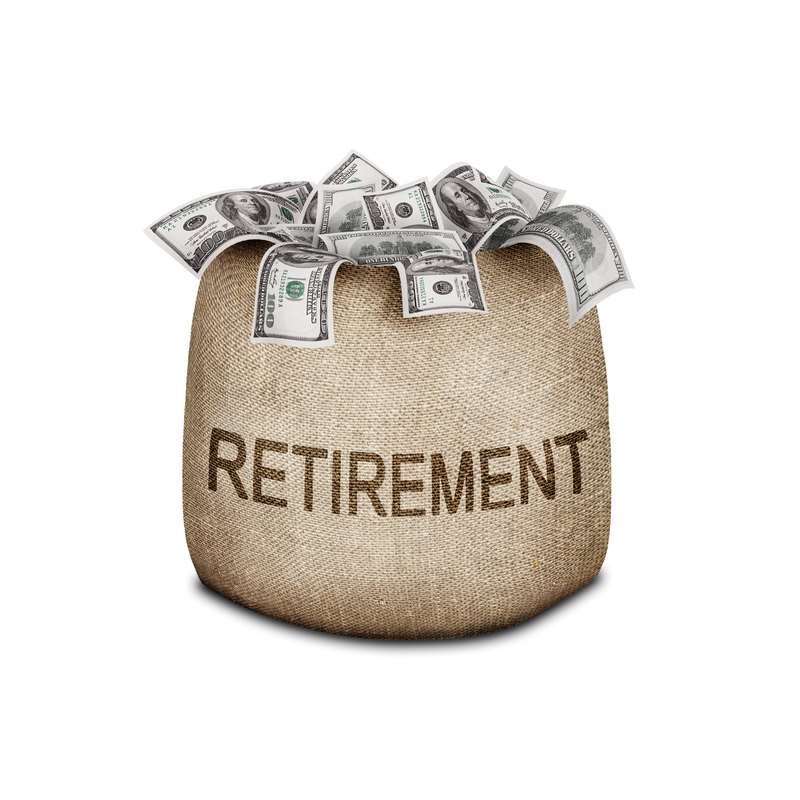 You will want to put your retirement savings in a tax-advantaged investment account, such as an IRA, 401(k) or SIMPLE. How to invest your savings is a topic for another time. What we want is a number—the big number required to fuel our life after work for some 25 years. Steve Vernon is a consulting research scholar for the financial security division of the Stanford Center on Longevity. His book “Money for Life” discusses the pros and cons of various ways to generate retirement income. NerdWallet asked him what sort of a nest egg it would take to generate an annual retirement income of $100,000. We’ll exclude Social Security in our plan, so the $2.5 million will be our initial starting point. To nail down the savings required for our six-figure retirement income, let’s consider another font of advice. BlackRock, the asset management company, offers a “Corrections During Critical Pre-Retirement Phase” (CoRI) calculator meant to show the amount an investor must save in order to generate a desired income throughout retirement. Using the same parameters given to Vernon, the CoRI calculator gives a similar, if slightly lower, result: $2 million. That would require savings of about $9,500 per year from age 20, based on a projected annual return of 6%. That’s a doable number if you have a 401(k) at work; in fact, it’s well below the $17,500 maximum deferral allowed in 2014. But it is about $800 every month. That’s a big number to someone in their 20s. In your peak earning years, it may take every bit of that 401(k) deferral limit to get you on track for a six-figure retirement. If from age 20 you’d saved $9,500 per year with a 6% return, you would already have some $350,000 in your retirement kitty. If not, it’s time to play catch-up, deploying every investment tool in your arsenal: annual rebalancing, tax-efficient mutual funds or exchange-traded funds and profit/loss tax harvesting. After age 50 you can use catch-up provisions to boost your contributions to your IRA or 401(k). It’s the race to the finish line, and you should be seeing a big balance on your investment statement. Somewhere in the neighborhood of $1.5 million. To reach our savings goal, a nest egg capable of generating 100 grand in retirement income each year, you may be selling off some assets to pad your account balance. Reducing expenses during the five-year countdown to retirement can also help you cushion your after-work budget. Now is a good time to factor in your Social Security and Medicare benefits, too. You may even decide to continue working for a few more years, or generate a part-time income to make up for the gap. The savings target of $2 million to $2.5 million required to generate a six-figure retirement income might seem impossible to achieve—but only until you have a plan in place and a firm commitment to succeed. Retirement savings image via Flickr.